kita mikichi (Wallpaper Portfolio) "I Like You"
For Vixen Vectressa's "Stop Bullying!" 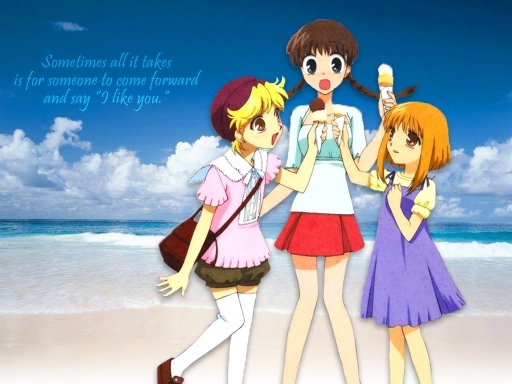 challenge, here's Kisa with Tohru and Momiji. If one person would just step up and speak out, maybe there would be one less victim of bullying in the world.